Do you want to add a unique touch of class to your formal wear collection? This gorgeous olive green duck feather bow tie will do just that. The masculine color combinations and subtle iridescence of the duck feathers are eye-catching without being over the top. It is easy to upgrade your look without emptying your wallet on a whole new ensemble. 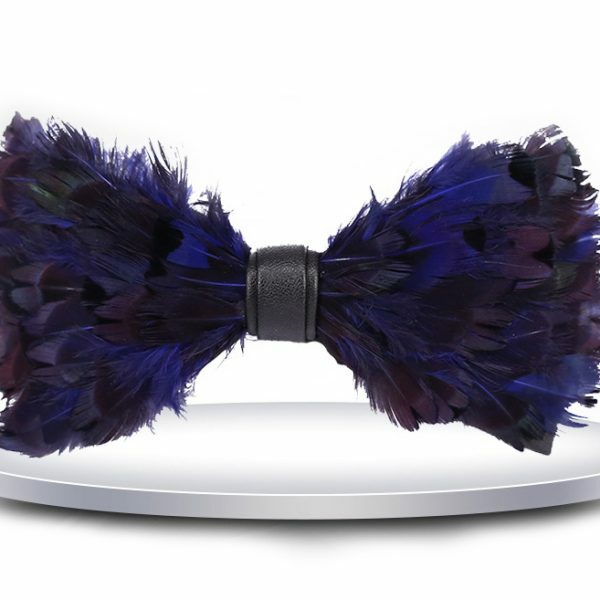 This bow tie will take standard formalwear from boring to beguiling. Each bow tie is expertly handcrafted with high-quality materials and measures 5.11 inches in length by 2.75 inches high. They are made by attaching individual feathers to the tie base in a time-consuming process. This beautiful green duck feather bow tie comes boxed for easy gift giving or safe storage when not in use. Spoil yourself or someone you love with a touch of luxury when you purchase this olive green duck feather bow tie today.